Apple Cider Vinegar is one of the most incredible healing tonics you will find anywhere, period. I’m not even exaggerating, I don’t have to. The results that you experience as you put it to use will demonstrate enough that you don’t need a “peer reviewed journal” to tell you that it’s a miracle juice. The proof is in the pudding. 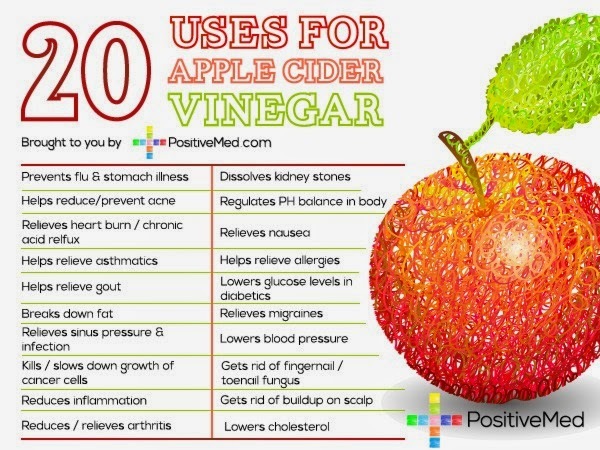 Here’s a graphic with 20 uses for Apple Cider Vinegar, but to be honest with you, they’re not even the cream of the crop. Wait until you see the list BELOW the picture, that will blow your mind so hard you’ll probably run straight for the pantry and start mixing it into everything before you even finish reading the article. 21. 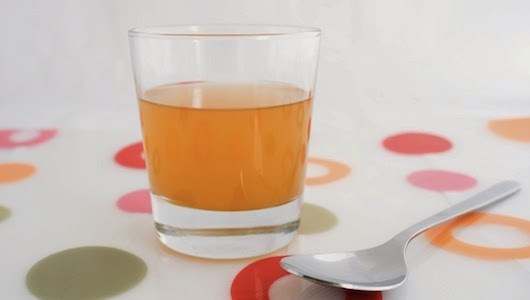 Apple cider vinegar can detoxify your home. This is an acidic mixture which is ridiculously strong, which means yes: It is in fact a cleaning agent. You can use it straight or mix it with water and other soaps to create your own household soaps and detergents to use on your floors, windows, clothes, and dishes. Hell, you can even put it in your hand-soap bottles! With that addition, you save tons of money on cleaning supplies, and drastically reduce the amount of chemicals and toxins in your home. 22. It can make your hair shine. 23. It can remove stains from teeth. Rub teeth directly with apple cider vinegar, and rinse with water. Simple enough instructions to follow, am I right? 24. It can soothe sunburned skin. 25. It’s an all-natural massage treatment. 26. 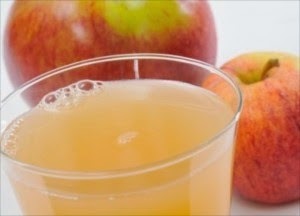 Apple cider vinegar can aid in weight loss. 27. Apple cider vinegar will balance your entire inner body system. As part of balancing the body’s pH, apple cider vinegar creates an overall detoxification of the body. Research shows that it can help stimulate cardiovascular circulation and help detoxify the liver. 28. The use of Apple Cider Vinegar is effective in repelling fleas on your pets. 29. It can help your body get rid of candida. 30. It’s an all-natural room freshener. 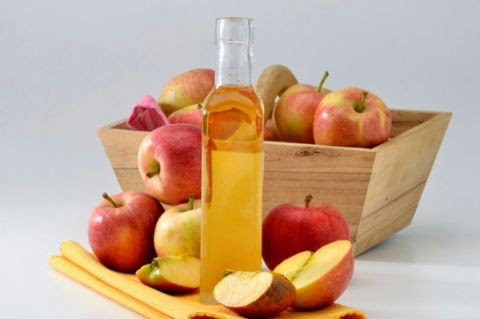 Apple cider vinegar will clean your toilets and leave your bathroom smelling like apples! Just pour apple cider vinegar into the toilet, and allow it to sit overnight. Bada-Bing, Bada-Boom! Flies are so bothersome… Take some ACV in a jar or a glass with a plastic lid or some kind of lid. Poke a few holes in it so the air can escape and flies can go through. They’ll get stuck in the drink and you’ll be free from their pesky bothersome ways. Bonus 2. ACV is great for your lymphatic system. I have only recently found this one out, but I have personally witnessed it happening right before my eyes. Within a matter of days, with a single daily rubbing of ACV on a foot that has athletes foot, the foot is healed in its entirety, leaving nothing but a few lines as to the old effected area… and even they faded away within a day or two after that.